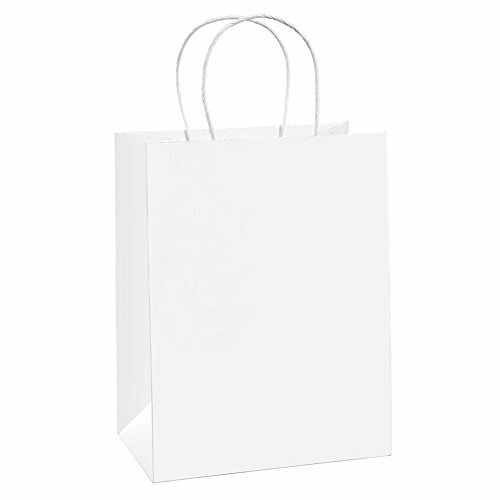 ☑White color of paper shopping bags: The plain white exterior is perfect for coloring and simple enough to decorate for ANY occasion.ECO-FRIENDLY PAPER BAGS. 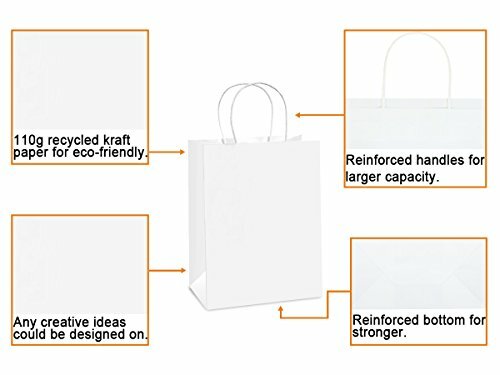 BagDream kraft paper bags are BIO-DEGRADABLE and RECYCLABLE. 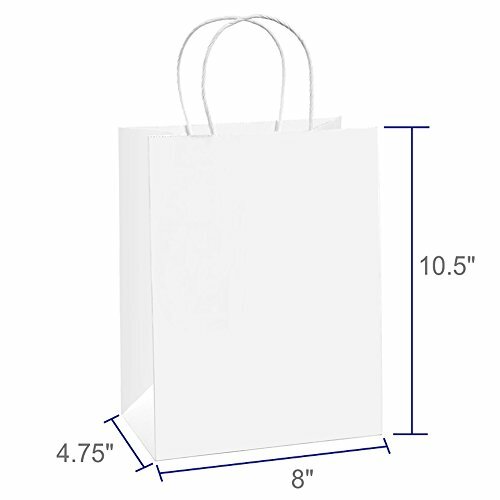 No peculiar smell and look a lot classier than giving customers those white plastic t-shirt style ones as gifts bags. 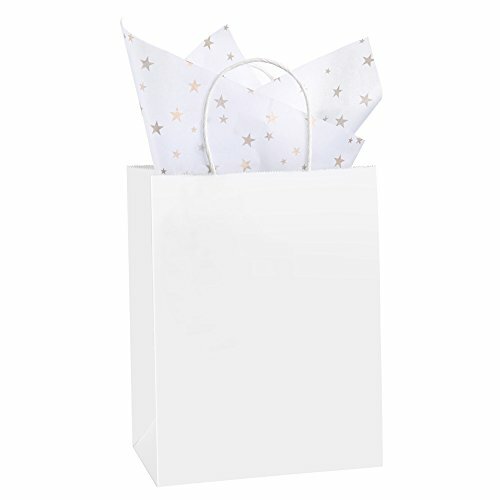 These white gift bags are made of 100% PCW Recycled Paper. FSC COMPLIANT. GREAT PAPER GIFT BAGS DIY IDEAS. 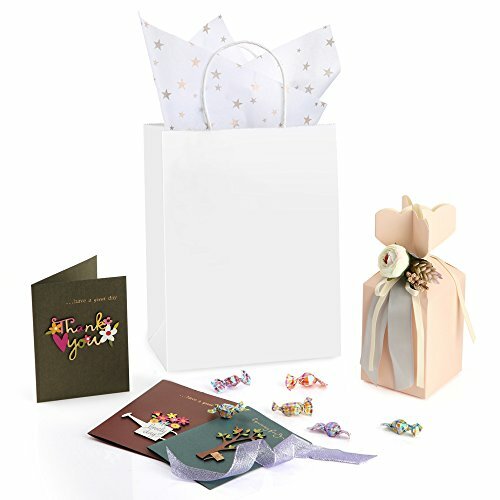 The white kraft bags are blank, you could decorate them with drawing, coloring and etc for different holidays as gifts bags to your special ones. Also, as retail carry bags, you could staple your business card or stamp the outside of the bag with your logo on. MULTIPURPOSE PAPER BAGS. 8″x4.75″x10.5″. 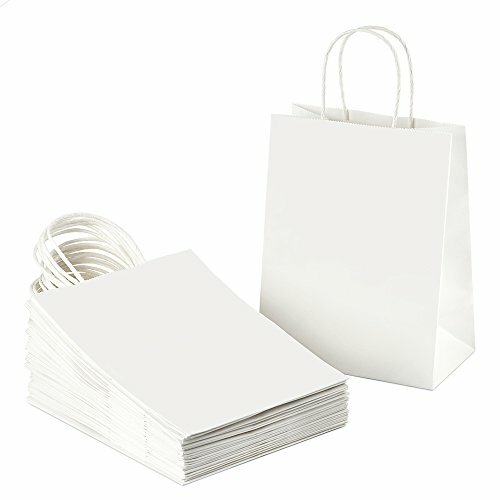 These plain white bags are a wonderful medium size for any number of things. 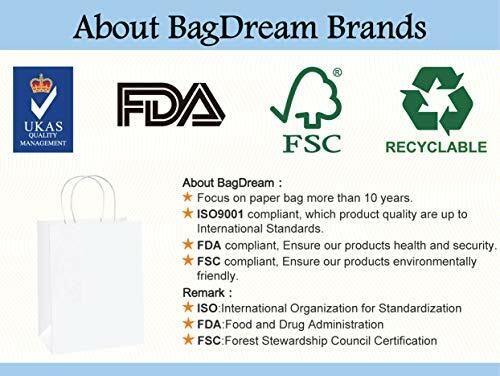 BagDream craft paper bags are great for Christmas holiday gift bags, shopping bags, Thanksgiving retail bags, mechandise bags and wedding welcome bags.